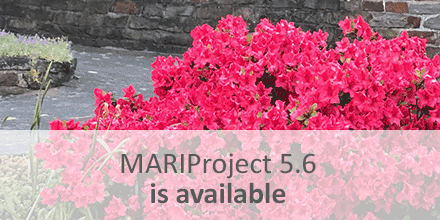 The new version 5.6 of MARIProject for SAP Business One comes up with 2 special highlights: Features for a smooth implementation of the GDPR and a module for newsletter delivery. The Newsletter Module enables authors without HTML design knowledge to create professional newsletters and send them to target groups with individual salutations. You define your target groups in a filter set based on different criteria and store them in the system. Having defined a target group, the newsletter is sent to the respective recipients from the database. Recipients can unsubscribe from the newsletter with one click or make a selection of newsletter topics (settings) on the landing page. You may also send a newsletter as an invitation for your event. The recipients have the option to register on your website. Newsletters may contain dynamic content in the footer, such as a list of current events. User feedback regarding settings or events can be embedded in designs and sent automatically. or send us an E-mail:info@maringo-usa.com.